After combing through numerous gallery previews for Art Basel in Hong Kong, I wanted to share the highlights for the fair before it opens! 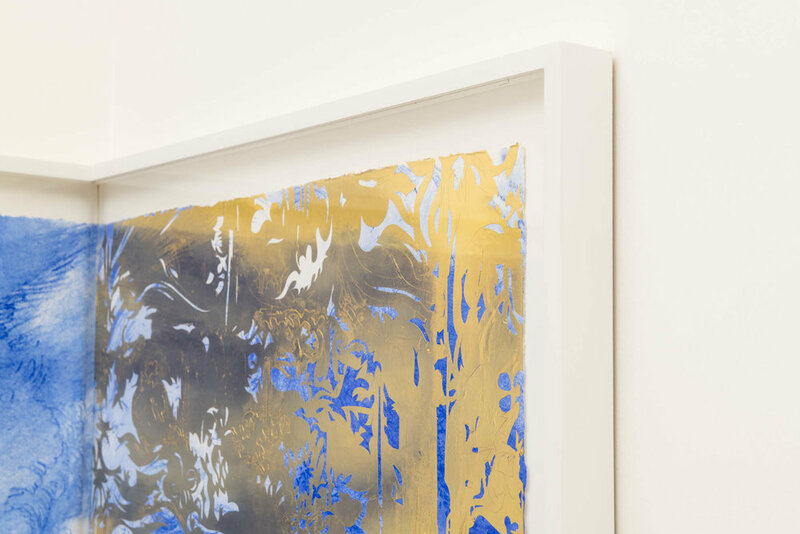 Since the late 1980s, Hodges’ poetic reconsiderations of the material world have inspired a wide-ranging body of work. 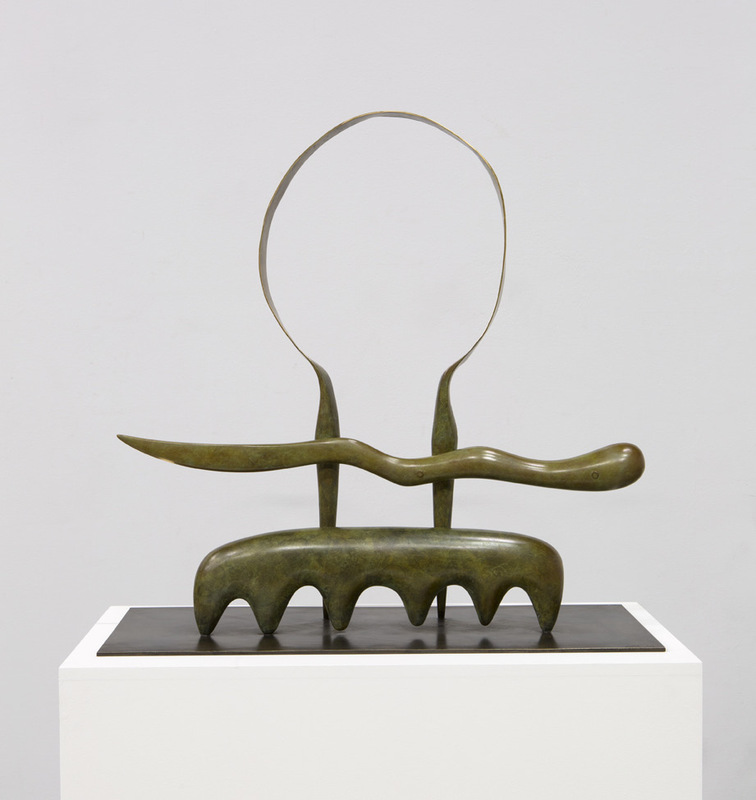 Hodges’ art typically begins as humble, even overlooked materials that are transformed through his touch. These acts of subtle transmutation, which merge the practices of drawing and sculpture, are evocative reminders of longing and loss and the formation of queer identity in the aftermath of the AIDS crisis. 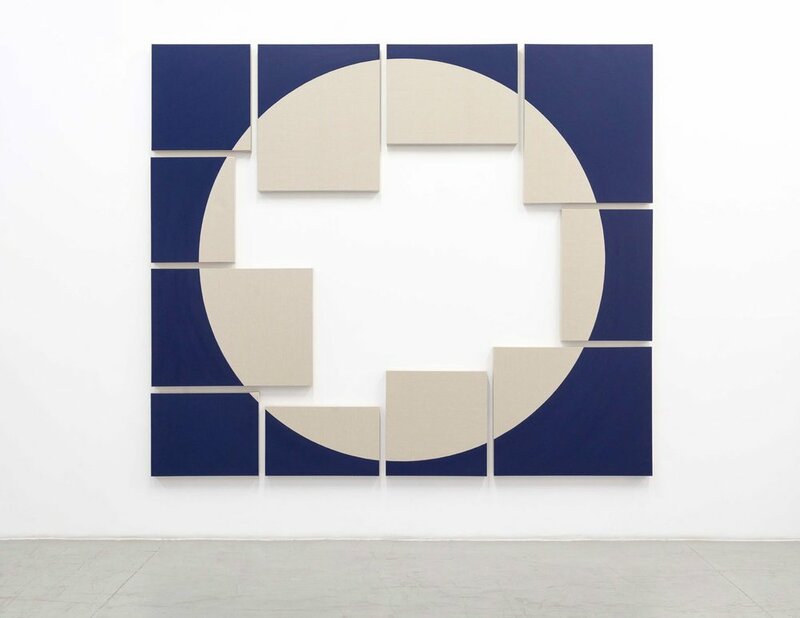 In the work, The Most Famous Problem in the History of Mathematics is That of Squaring the Circle IV (2019), Dávila positions 11 separate canvases of varying sizes into the shape of a rectangle, which when viewed together display the image of a circle in a humorously inventive attempt at solving “the most famous problem in the history of Mathematics - squaring the circle. It is a challenge proposed by ancient geometers to construct a square with the same area as a given circle. The principle of I - Because Nothing is More Pleasant to the Eye than Green Grass Kept Finely Short (2019) is to achieve a syncopated rhythm from the elements that compose it, while considering the abstraction generated by a measurement of the separate elements that comprise them, as a principle for the uncertainty that is presented when the mind begins to visualize the different forms between them - and after a few moments observing it, the different materials of which they are made are evidenced. It is a visual game between the image generated by first impression when seeing the artwork and the last image you saw - as if the process of observation itself was the one that discovered, little by little, the aesthetic benefits of the elements that are used in the sculptures. Troika's dice pieces reference the historical use of dice as a means of determining fate, chance and luck. The roll of the dice relies on the laws of probability; their application to any external activity is a necessarily arbitrary connection, formulated by human action. In contrast, the fate of the modern man is increasingly determined by algorithms. A process or set of rules to be followed and implemented in problem-solving operations and influence everyday social activity. Troika arrive at these logically-derived compositions by setting initial conditions or frameworks and then introduce an unpredictable element, here an evolutionary algorithm, from which the unexpected emerges. Robert Longo’s Untitled (.44 Smith & Wesson) depicts an iconic American symbol: the .44 calibre Smith & Wesson revolver that, when first introduced in 1955, was the most powerful handgun in the country and popularised by films like Clint Eastwood’s Dirty Harry (1971). The aesthetic appeal of the gleaming metal, rendered in photorealistic detail, is undercut by its mortal power, which has become particularly poignant in light of ongoing gun violence in the USA. In Robert Longo’s Study of Profile Eagle, the artist depicts the American national animal in photorealistic detail, capturing the softness of its feathers, the sharpness of its beak and the steeliness of its gaze in profile. Like an Old Master artist, Longo achieves a dramatic emotional range through his virtuosic use of chiaroscuro, harnessing light and dark as his primary materials. Widely recognised as one of the most influential artists of his generation, Josh Kline works across sculpture, installation and video. 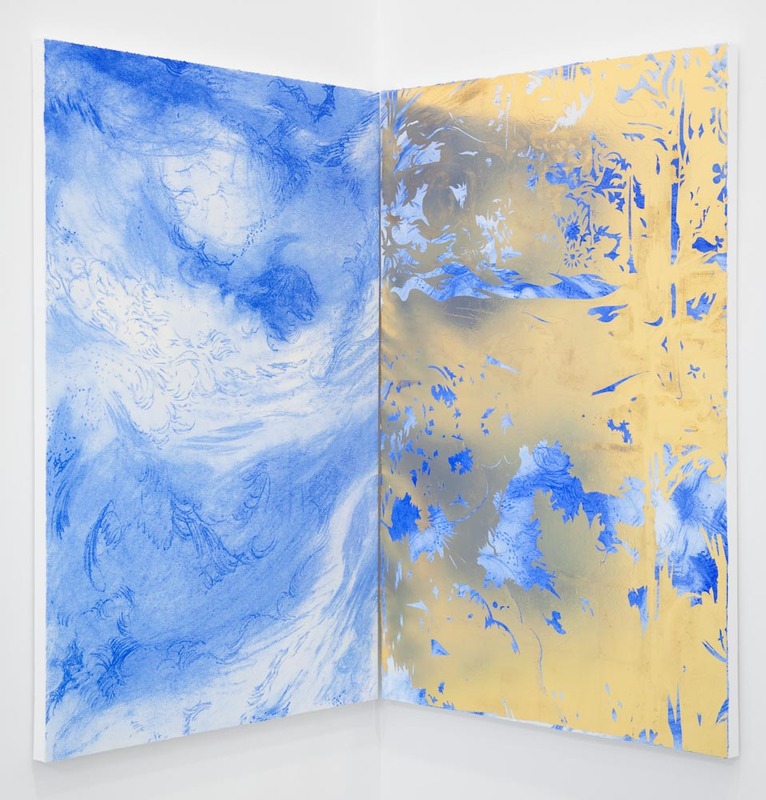 Often dystopian in outlook, Kline’s works focus on the ways in which technological innovations affect politics, labour, and the human body, engaging with theories of post-humanism and the labour economies of neoliberalism. The artist also exploits these same innovations in the development and execution of his works. Abraham Cruzvillegas's artistic process is deeply influenced by his surroundings; rather than being defined by a particular medium, many of his projects are linked by the platform autoconstrucción: A concept that draws from the ingenious, precarious, and collaborative building tactics implemented by the people living in Colonia Ajusco, his childhood neighborhood in Mexico City. He appropriated this term in relation to his practice to describe an approach of inventive improvisation and instability which presents change as a permanent state arising from the chaotic and fragmentary nature of life. The elements collected and painted in his work includes scraps he has come across locally such as leaflets, ferry tickets, receipts etc. Baltimore-based artist Amy Sherald, who is perhaps most widely known as the official portraitist of former first lady Michelle Obama, probes the relationship between race and representation in the Western canon. In 'Handsome', Sherald depicts a young, attractive African-American man. As is typical of her portraiture, a color-field backdrop draws upon the art historical conventions of portraiture and serves to emphasize the subject. 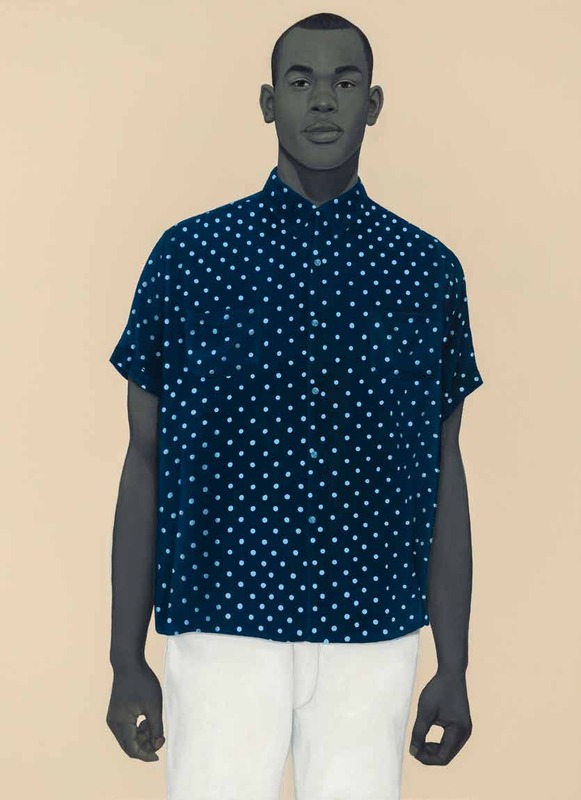 The man's crisp white pants and polka-dot shirt, likely sourced from Sherald's archive of patterns, virtually protrude from the canvas in their visual intensity. The artist characteristically renders his skin in shades of grey, substituting a notable lack of color for 'blackness' as it has traditionally been presented or conceived. This act creates new possibilities for African-American representation. Latifa Echakhch invites the viewer to reflect on the rigidity and contradictions of society. Using diverse techniques, Echakhch confronts the modern world’s socio-political and cultural issues through objects loaded with symbolic meanings: she decontextualises them, placing them in a space full of possibility, which encourages an active reading from viewers. In this way, she combines ‘politics and poetry’, which she herself describes as the main instrument of her work. The interpretation of her works is thus left open: everyone can project onto them their own ideas and memories. 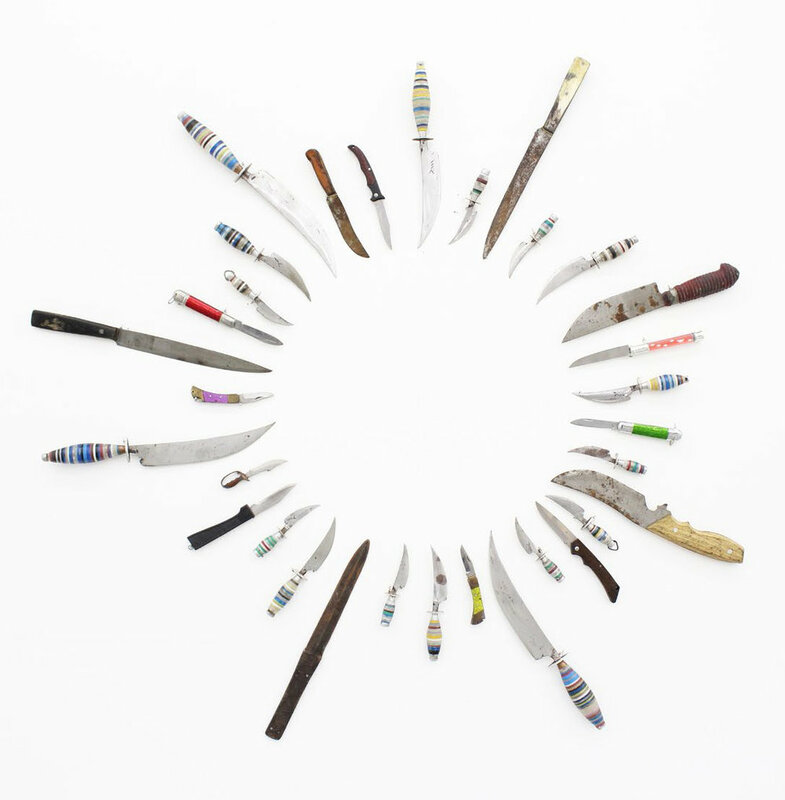 Henrot's diverse practice combines film, drawing, and sculpture. Taking inspiration from subjects as varied as literature, mythology, cinema, anthropology, evolutionary biology, religion and the banality of everyday life, Henrot’s work acutely reconsiders the typologies of objects and established systems of knowledge.